Empowering you to achieve your creative potential through the art of astrology. The word ephemeris (plural ephemerides) is from the Greek word ephemeros, which means daily. This is a quick introduction to the graphic ephemeris. Generally the ephemeris that astrologers use is a hefty reference book. It details astronomical data like daily planetary positions by zodiac sign with the degrees and minutes for each planet as well as information such as sidereal time (used for calculating the ascendant). An ephemeris is usually laid out month by month for each year. Planetary positions are listed in tables for either noon or at midnight depending on the ephemeris used. Luckily we have a visual representation of the daily planetary positions in the graphic ephemeris (see example on the following page). It is a quick way to find hard aspects. 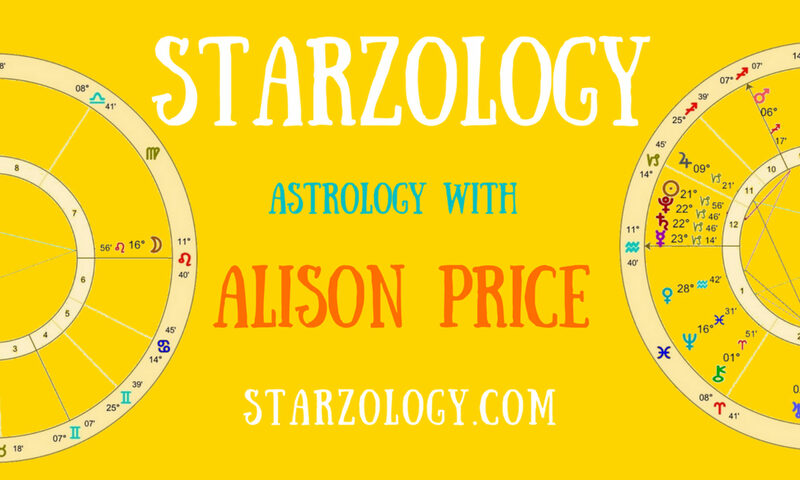 It can be quite tedious to manually calculate all the planetary positions for a birth chart. Perhaps there are some of you who began your journey into astrology with this method. You were probably relieved when the old Blue Star and then Solar Fire programs generated perfect charts. Charts with a higher level of mathematical accuracy (even though birth times are still unreliable) are created by computers rather than manual calculations. The graphic ephemeris has a slightly different purpose than the ephemeris book. It is mainly used for predictive work and specifically outer planetary progressions, transits and directions shown in a graph. It is a highly visual tool where you can select the preferred time period. The planets remain constant on every graph of the period. It is the connections to the natal chart that are shown clearly by this method. Imagine if you take the birth chart wheel as 360° on a piece of paper and you fold it in half at the (0°Aries/0°Libra) line you then have 180° of the circle. Next fold it in half again to show 90°, finally if you fold the chart once more you have a 45° ‘slice’ of the circle. If the paper was transparent, it would show all the planets and angles within the small 45° slice. Transiting planets will be at the same point on the slice and therefore will be depicted near each other on the Graphic Ephemeris. This is simply a different way to look at the transits to a natal chart. The process of folding the chart from conjunctions 0° into oppositions 180°, into squares 90° and then semi-squares 45° or sesquiquadrates 135° only allows hard aspects to be shown. Generally there are no harmonious aspects depicted on the graph. The left of the graph begins with a column showing the cardinal degrees from 0° for 30°. At 30°, the fixed signs start and carry on to the 45°, and then begin again at the top from 0° to 15°. Finally the mutable signs are shown from 15° for 30°. At the top is time in months. On the right side of the graph is a column with the natal planets and angles by sign. Each planet and point has a coloured dotted line associated with it running horizontally across the page. Predictive work usually begins with revealing the transits. The outer planets Jupiter, Saturn, Uranus and Neptune as well as Chiron and Pluto are generally selected for transits. The direct transiting planets enter the graph at the left and move through time down and to the right. During retrograde periods, they move up the page in a wave motion. Where planets are at 0° of the cardinal signs by transit, they will reenter the graph at the top. Following Saturn’s path, (purple line, 2009) which loops down and up (April 2010) then picks up its position at the bottom. This is because of Saturn’s movement back and forth over 0° Libra retrograding into Virgo, eventually returning to Libra in July 2010. Planets changing signs have a small dot in the planetary colour on their path. Take Jupiter as an example when it moved into Aquarius in early January 2009: a small blue dot is shown on its path. You can see that Pluto has a shallower path than Jupiter. This is due to the slower movement of this minor planet in space. Where a transiting planet’s curve crosses a natal planet’s dotted line, a transit aspect to the natal planet is formed. The aspect glyph is at the intersection of the two. Where two transiting planets’ paths cross each other on the graph, there is an aspect being formed between those two planets on that day in space. The actual aspect symbol is not shown on the graphic ephemeris, only aspects to the natal chart. The nodal axis moves in a straight line on the plane of the ecliptic and is always retrograde. You can find the node on January 01, 2009 at 11° Aquarius and its end on December 31, 2010, at 2° Capricorn. The full moon is shown as a white circle and new moons as black circles. Where a solar eclipse happens there is a black circle with the conjunction symbol within it. A lunar eclipse is depicted by a white circle with the opposition symbol within it. Let us turn to the following example using Barack Obama’s graphic ephemeris for the two years beginning January 1, 2009. On the graph, you can clearly see each planet’s path and the connections made, including the three and sometimes five time contact due to retrograde motion. An example is Pluto (red) connecting with a semi-square to the ascendant in Aquarius five times during the selected timescale. Using a 1° orb for transits (degrees on the left), it is quite clear which planets are going to be making contacts to his natal chart in the following months. Obama’s natal Uranus is at 25° Leo 16′ (7th public) and will be opposed by Neptune, Chiron and Jupiter in early 2009. On the graph the Uranus (cyan) dotted line is intersected three times by Neptune (green), Chiron (orange) and Jupiter (dark blue). This is due to the fact that all three planets are moving together through Aquarius. These three spiritual and compassionate planets opposing his natal Uranus (modern chart ruler) suggests some tensions in his future beliefs. Perhaps he will realize he is not fully informed and can’t see the big picture which may dramatically slow his act of change for now. This is just one small example of how to use the graphic ephemeris. Once you understand the graphic ephemeris, it can be helpful in forecasting work. When you get the hang of it, you can quickly see the situations and contacts that are coming up and this should add to your skills as an astrologer. Barack Obama born 7:24pm, August 1961, Honolulu, Hawaii, (21°N18′ 157°W52′), birth time to be rated AA, details from TMA Aug/Sep 2008.